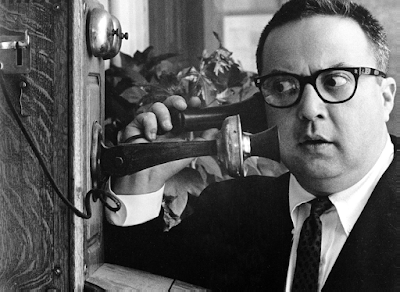 Hat Tip to my twitter friend, Sarah @oldZorah, for this hilarious and ingenious skit by the brilliant Allan Sherman - "The End Of A Symphony". From Wikipedia: "Allan Sherman was an American comedy writer, television producer, singer and actor who became famous as a song parodist in the early 1960s. His first album, My Son, the Folk Singer (1962), became the fastest-selling record album up to that time. His biggest hit single was "Hello Muddah, Hello Fadduh", a comic novelty in which a boy describes his summer camp experiences to the tune of Ponchielli's Dance of the Hours." As we love classical music on this blog I thought this would be a great video to share. Thank you, Allan Sherman, for bringing smiles to so many, with your great musical parodies.